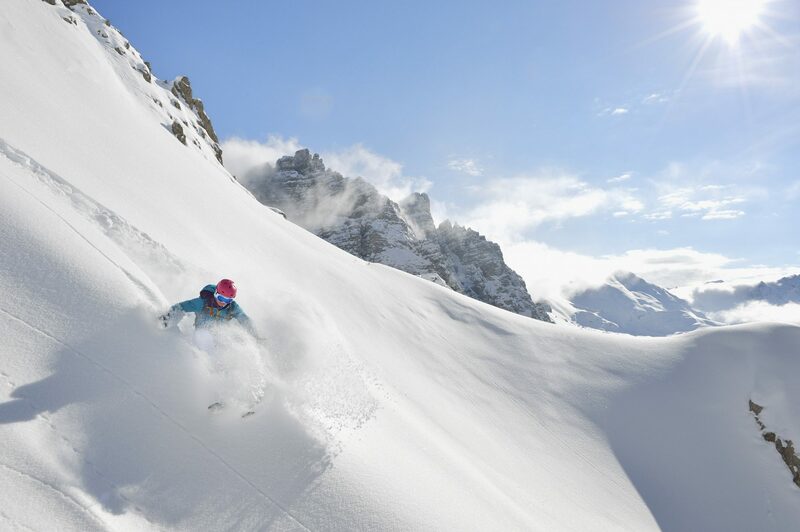 The Austrian Tirol is home to dozens of famous ski areas, all featuring picturesque scenery, cosy accommodation and almost endless perfectly prepared pistes, served by fast, comfy lifts. Pictured above, Innsbruck’s powder mountain of Nordkette can be reached by ski lifts from the city centre. Descend the famed Hafelekar runs, tackle the Karrinne run and, if you have the skills and the nerve, perhaps the Hafelekarrinne couloir, one of the steepest ski runs in Europe. Sölden’s Gaislachkogl peak is a freeriding hub offering steep and testing vertical descents of up to 1,500m from its 3,058m peak. The Giggijoch, by contrast, is a perfect freeride area for beginners, offering wide-open ski slopes and easy runs with up to 1,000m of vertical. 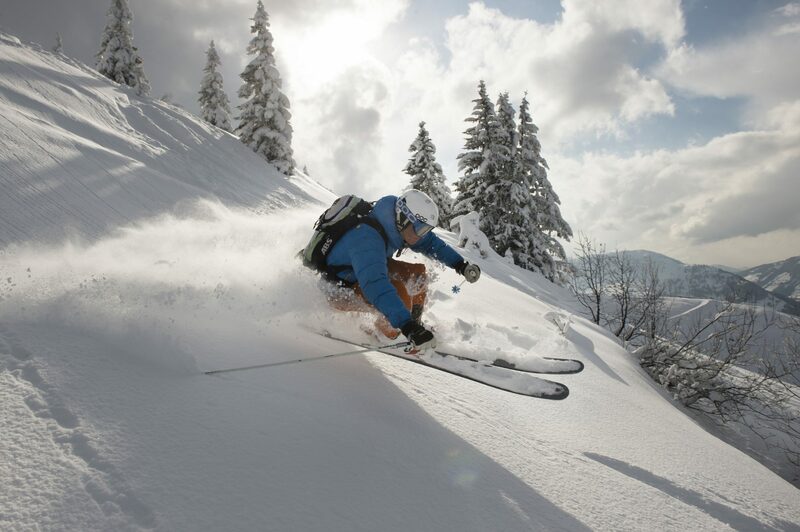 The Ski Juwel region has 16km of off-piste routes with the best known accessed via Hornbahn 2000 with descents towards Inneralpbach and Greitergraben. Skiing here is for experienced freeriders only who must carry an avalanche transceiver, shovel and probe. The Zillertal is one of the biggest deep-snow paradises in the Alps with more than 65 named freeride runs offering lots of varied descents. Popular areas include the “Outta Banks” of Hochfügen, Krumbachalm at Gerlos and Lärmstange on the Hintertux Glacier. 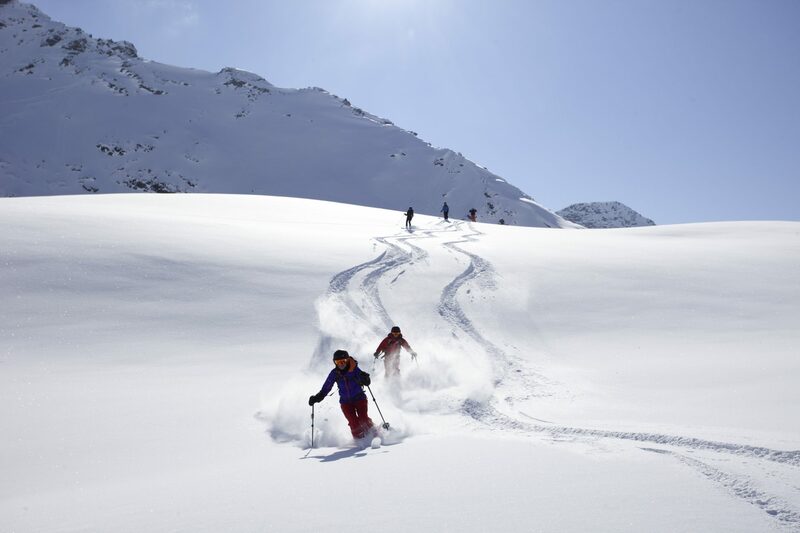 With 200km of marked powder runs the Arlberg is a paradise for freeriders. With so much off-piste terrain safety is the top priority both in terms of maintaining slope security and educating freeriders. Almost every lift in St Anton leads to more off-piste treasures. There are 41km of freeride routes slopes above Kitzbühel with the Bichlalm sector one of the best known for its spectacular off-piste skiing. The area can be accessed by a snowcat service meaning you’ll be one of the few skiing there. Axamer Lizum, 19km from Innsbruck, has 300 hectares of mostly north-facing terrain. The area offers LVS Checkpoints and five freeride skiing routes with a combined 10,000m of vertical. The Stubai Glacier offers a dozen marked off-piste runs covering all levels of difficulty in unsecured, open terrain. Snow-sure, it has one of the longest seasons in the Alps, opening from early autumn. A special freeride map and GPS data are available to download. easyJet and British Airways offer regular flights from London (Heathrow and Gatwick) to Innsbruck – perfect for an early-season ski on the glaciers. From December onwards, easyJet runs double daily flights from Gatwick starting at just £28 one-way, while British Airways flies eight times a week from Heathrow, alongside its regular Gatwick service.